What Smart Money Thinks of SBA Communications Corporation (SBAC)? 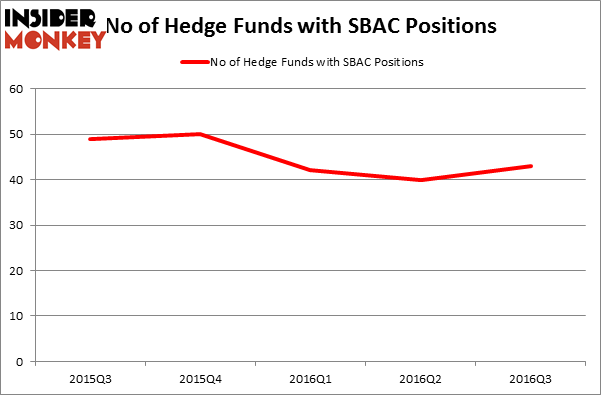 In this article, we are going to discuss the hedge fund activity surrounding SBA Communications Corporation (NASDAQ:SBAC), Overall, it looks like money managers are in a bullish mood, as the number of bullish hedge fund bets increased by three lately. The level and the change in hedge fund popularity aren’t the only variables you need to analyze to decipher hedge funds’ perspectives. A stock may witness a boost in popularity but it may still be less popular than similarly priced stocks. 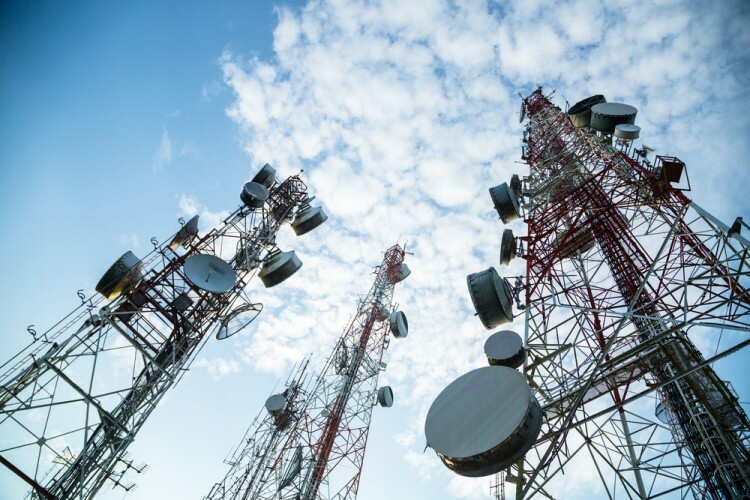 That’s why at the end of this article we will examine companies such as McCormick & Company, Incorporated (NYSE:MKC), Spectra Energy Partners, LP (NYSE:SEP), and Franco-Nevada Corporation (NYSE:FNV) to gather more data points. Keeping this in mind, we’re going to view the recent action encompassing SBA Communications Corporation (NASDAQ:SBAC). What does the smart money think about SBA Communications Corporation (NASDAQ:SBAC)? At the end of the third quarter, 43 funds tracked by Insider Monkey were long SBA Communications Corporation, up by 8% over the quarter. With hedgies’ sentiment swirling, there exists an “upper tier” of noteworthy hedge fund managers who were boosting their stakes considerably (or already accumulated large positions). According to publicly available hedge fund and institutional investor holdings data compiled by Insider Monkey, Thomas Steyer’s Farallon Capital has the number one position in SBA Communications Corporation (NASDAQ:SBAC), worth close to $278.5 million, amounting to 4.1% of its total 13F portfolio. Sitting at the No. 2 spot is SPO Advisory Corp, led by John H. Scully, holding a $260.9 million position; the fund has 4.6% of its 13F portfolio invested in the stock. Other hedge funds and institutional investors that hold long positions consist of Ken Griffin’s Citadel Investment Group, Eric W. Mandelblatt’s Soroban Capital Partners, and Sharlyn C. Heslam’s Stockbridge Partners.